Having trouble viewing our newsletter? Click here to read it on our site. 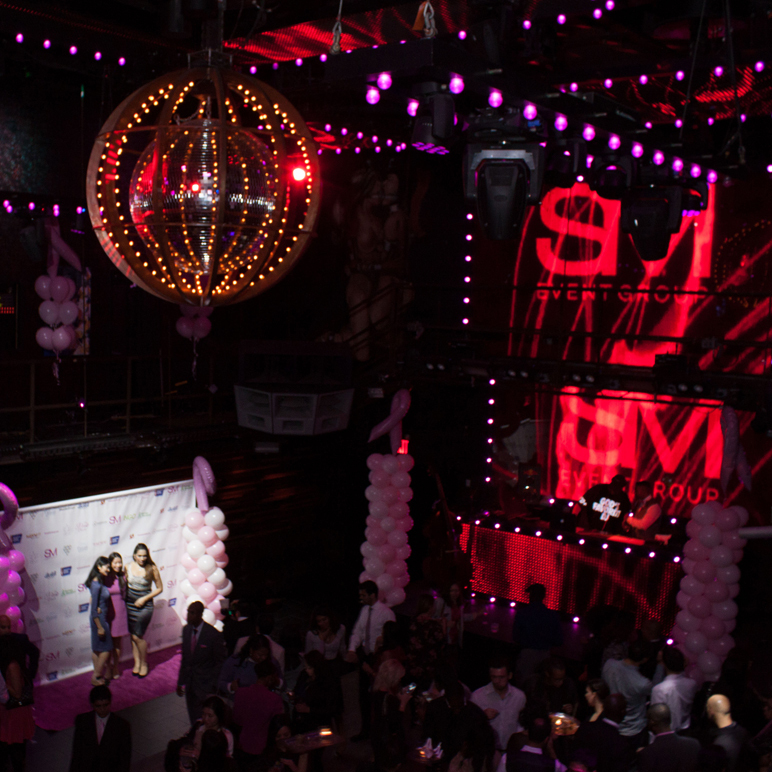 DJUSA's sister company, SM Event Group, took over Marquee in New York City to throw The Pink Bash, a gala to benefit the American Cancer Society. The evening featured an all-star DJ lineup, live musicians, and keynote speakers who shared touching stories about the hardships of cancer and how people can help. It was a great opportunity for people to give back and celebrate life at the same time! You can see all of the photos here. What’s Up all!! I wanted to take this opportunity to wish all of our readers, clients, friends, family and loved ones, who celebrate, a very happy and blessed Diwali! 2014 has been remarkable for me and I wish the New Year bring nothing but success, happiness and prosperity for us all! As you may recall, you may have heard, the Diwali Festival in Times Square was held back in September 2014. This was its 2nd year in occurrence and I have to say it was an honor to be a part of it. This was my biggest crowd to date. There were over 200K people in attendance and I have to say performing for sea of people is an experience like none other. Thank you to Maharashtra Tourism and a special, personal thanks to my good friend Sumit Bhasin of Event Guru for allowing me to be a part of this historic event. Make sure to be a part of it next year as its only fitting to have one of the largest festivals and traditions to be held here in the heart of the greatest city in the world, New York City. Speaking of NYC, my dear friends and partners at SM Event Group put together a humbling and extraordinary event at the world famous MARQUEE in NYC for the American Cancer Society. 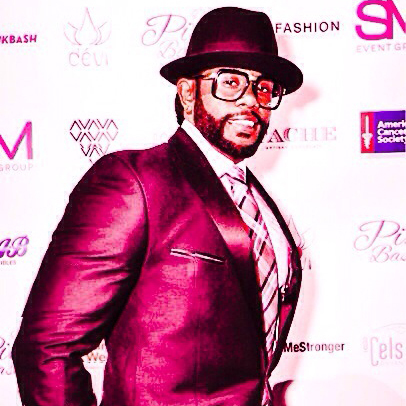 Aptly named the Pink Bash, the event was held in regards to Breast Cancer and Cancer Awareness month. Thank you to all that came out and supported this great cause. It was a pleasure to rock the Masquerade Ball at Pranna and the official NYC 90’s theme costume party at Frames for Halloween!!! Check out the pics and vids for this and all my other events on my Instagram @ashisg… and don’t forget to check out my remix of ‘Yaar Na Milay’ from the movie Bollywood Smash Kick, up now on my SoundCloud. 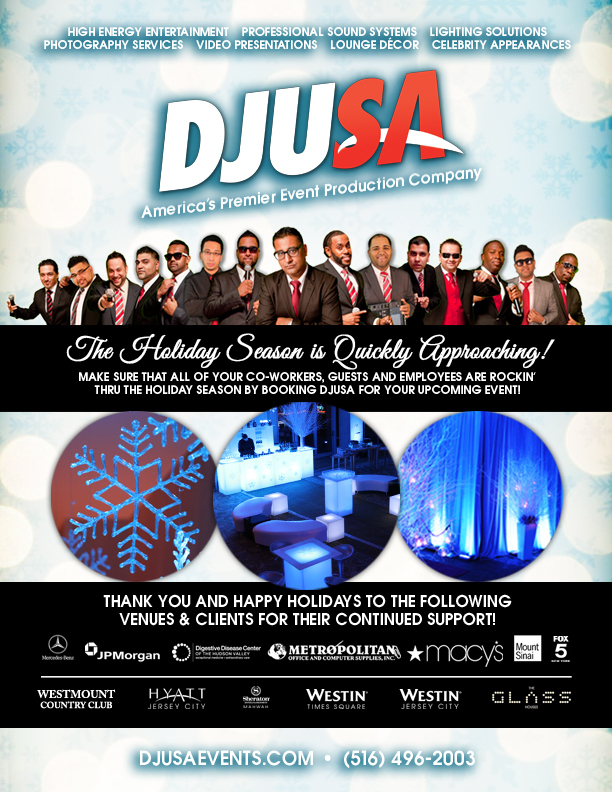 Check out #DJUSA on Instagram! With wedding season coming to a close the gigs do not slow down for me. This year I decided to take a new direction with my fall bookings and line up a college tour. Just this past month I've had an opportunity to perform at Rider University in New Jersey for 2 club events! One of which, was a live broadcast on the radio, which was definitely a unique experience. I also got to touch down in Philadelphia and headline Halloween Havoc, Philly's official Halloween party with students from Temple, Drexel, and UPenn. Also as many people may know October is National Breast Cancer Awareness Month and I was able to DJ Pink A Thon at the University of The Sciences in Philadelphia to help raise money for a cure. This year we raised over a thousand dollars!!! Not to mention my residency at Pranna in New York City where we have been rocking steady every Saturday night with a couple of my DJUSA brothers, DJ 971 and DJ Rohit. I’m looking forward to playing at more college campuses this fall/winter so look out for me! Also got some big news coming up with my radio mixshow on 94.5FM WPST in Philadelphia so stay tuned! 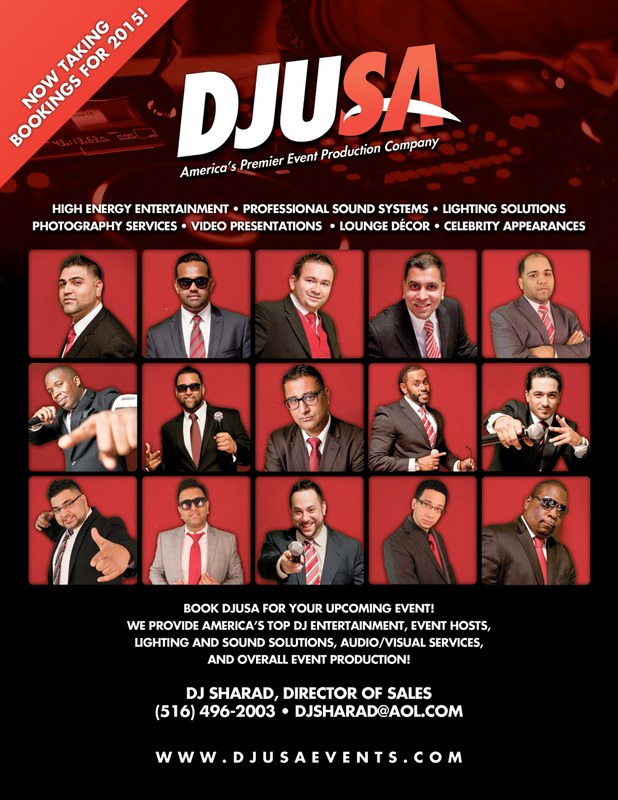 Learn about DJ Avi and all of our entertainers here! As we close out yet another amazing DJUSA/SM Event Group season, we instantly commence our planning for our 2015 year. Aside from loving every moment I spend at my events, it is a true honor to be able to perform next to such dedicated and professional entertainers. We all have our own signature that can distinguish each and every talent we posses, ranging from EDM DJ’s all the way to traditional Indian culture. I've been on this musical path for a little over 16 years now and still to this day when I perform along side of my co-workers you can literally catch me taking notes. 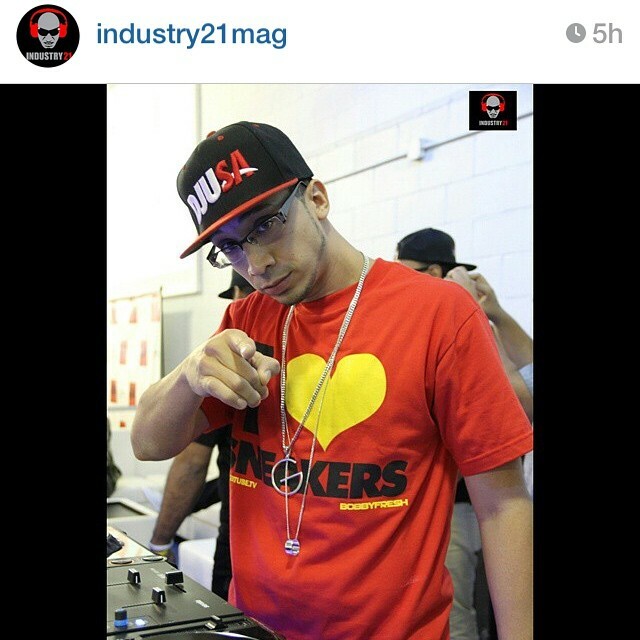 This industry is constantly growing and as an entertainer I have to be onto of my game always. Currently, I provide a 3 sided service for my company. I am a DJ, an MC, and, when needed, I provide event managerial services to make sure those contracts are completed and ensure our event runs properly. Being associated but such incredible individuals gives me the opportunity to keep growing in all areas in my profession. To this day, I practice every day of the week for at least 2-3 hours a day, making sure I am always at the top of my ability. At the moment, I am making my way back into the night club scene for promotional purposes. I believe the stronger my brand becomes, the more I can provide for my company. This is an industry that never sleeps, and when/if you do, there will be hundreds of others attempting to take your spot. This is NOT an option. We are who we are because of what we provide, and that is outstanding work joined along with a very easy flowing environment, glued together by a family of performers that genuinely support each other in every moment. In a nutshell, that is a recipe for success. 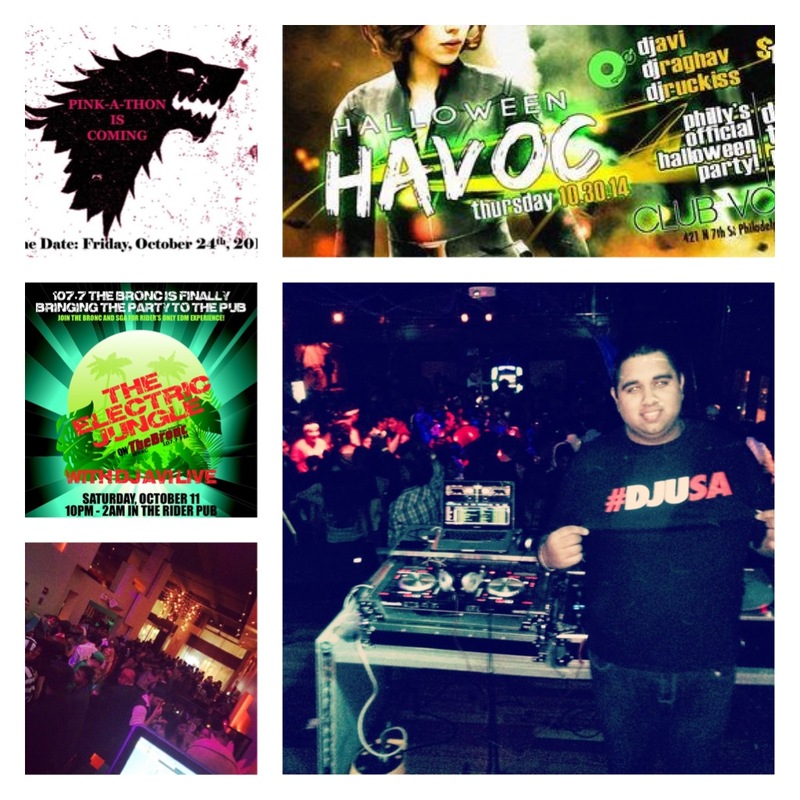 My name is Gino Carpio AKA DJ OverDose, and I am a proud DJUSA/SM Event Group Entertainer. As usual, Marco Glorious had extensive month of event hosting, and appearances. 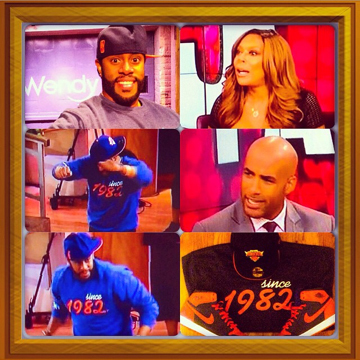 He met some very notable guests at The Wendy Williams show! Boris Kodjoe, Rosie Perez, Paula Abdul, and French Montana just to name a few. Also during this most recent tenure he was able to give back time by hosting two events for The American Cancer Society. He hosted The American Cancer Societies Walk right in the heart of NJ’s Jersey Shore of Point Pleasant. Approximately 20,000 people were involved. 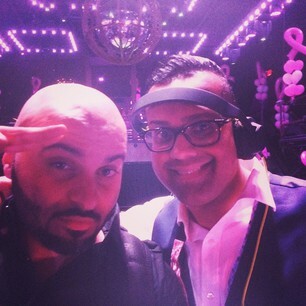 He also hosted The first Annual “Pink Bash” at NYC’s famous club Marquee, sponsored by The American Cancer Society. 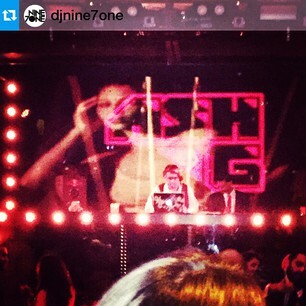 It was a heartfelt and fulfilled event that fused live music with dj entertainment. 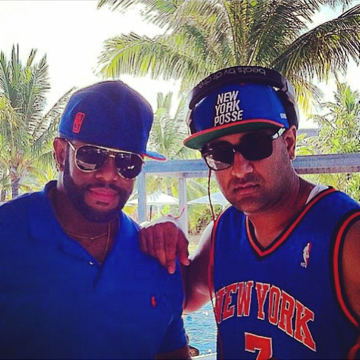 Marco wrapped up the month by traveling across the world with DJ Sharad to the land of Mauritius to share his event incitement and elocution for a very special reception! 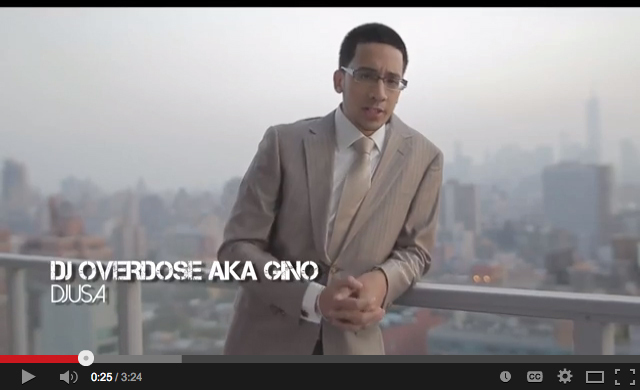 Continue to stay tuned as Marco G continues his path of captivation and entertainment! Follow Marco G on Instagram & Twitter @MarcoGlorious to keep up with his whereabouts !!!! Hello DJUSA Newsletter Readers, Hope everyone is enjoying the fall weather so far! 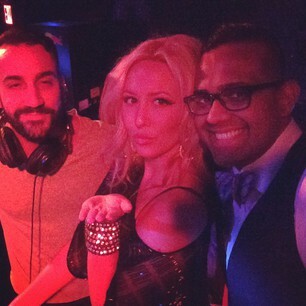 I have been super busy with Djing private events this month. Going forward I will also be spinning at Mixx Restaurant and Lounge in Hauppauge LI once a month for the "Long Island's Bollywood & Bhangra Night". 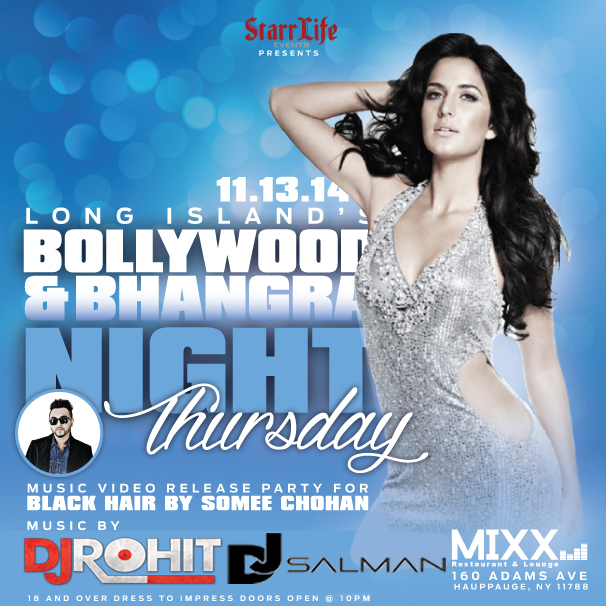 This event will also be the music video release party for an up and coming urban desi Singer/Composer out of Brooklyn Somee Chohan. Also make sure to check out my newest EDM style remix of the bollywood track "Abhi Toh Party Shuru Hui Hai" from the movie Khoobsurat. This remix is also available for free download on my website (www.djrohitnyc.com) and my soundcloud page (www.soundcloud.com/djrohitnyc). Enjoy and See you on the dance floor! 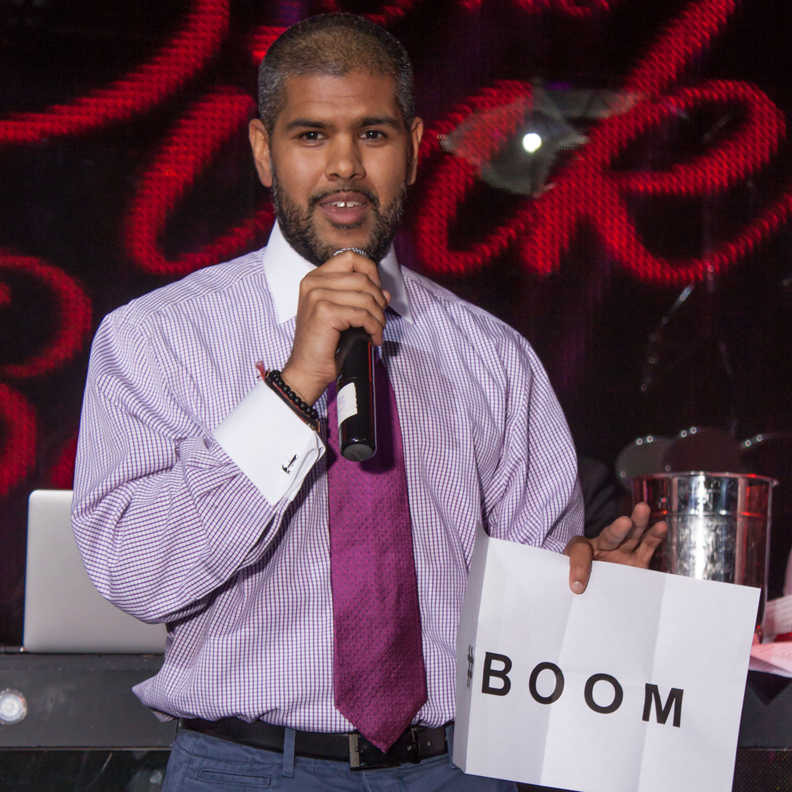 Learn about DJ Rohit and all of our entertainers here!